Even though I'm not playing with a full deck, I pride myself on my memory, especially my long term memory. While my short term memory is only semi-reliable (up to about six digits); and my nearterm memory is often called into question (i.e., "I told you about that a week ago, Ken!" Really? ), I have a lifetime's worth of recollection stored up there somewhere, often in remarkable detail. So when I recently undertook the exercise of sifting through a box of collected detritus in my parents' basement, it was with both joy and trepidation. Over thirty years' worth of letters, cards, photos, stories, poems, and essays needed to be sorted into toss, recycle, share, or keep piles. Admittedly, I approached this work with as little sentimentality as possible -- only glancing at most, reading items which stood out as familiar, unfamiliar, or remarkable -- recycling most to be turned into new memories for some other lovelorn and/or heartbroken soul. Gotta live in The Now, right? The memories are still there. What's the point in reliving them? 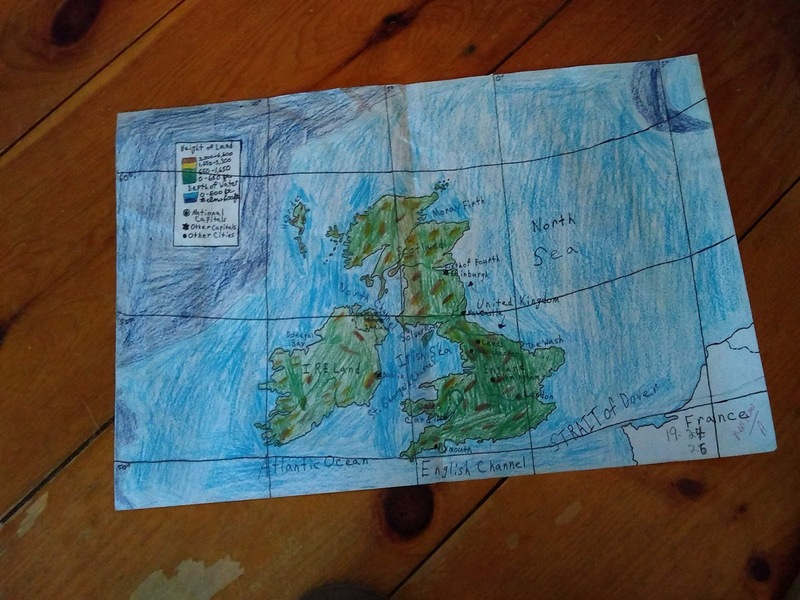 The only reason I could think of to keep much of anything was to repeat the effort in another thirty years, for a laugh and to re-confirm that history transpired as I recalled it. But the goal of this go-round was simply to clear up some space in the 'rents' basement and lighten the load in my attic. 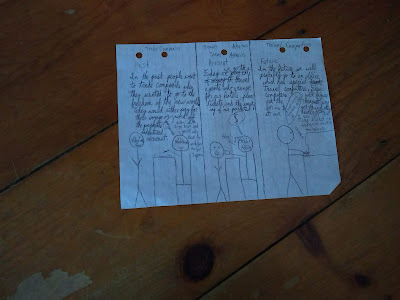 On the whole, the effort was successful: I was able to trace the history of myself as a writer -- from age eight on -- and confirm the timeline of events leading to my first and worst heartache. What proved most interesting were the stories and poems I don't remember writing and the letters I apparently didn't internalize as deeply as I thought I had upon first reading. Also how a mere glimpse of someone's handwriting can still traumatize me.Such is the value of time and age, I suppose, though it hardly salves the sting. And does leave me questioning quite how well I knew myself back when. I was angrier than I recall. No matter. "The past doesn't matter; the future doesn't matter; the present's just a matter of time." (bad lyrics to a song never written -- might as well have been shoved in a box but instead stored in gray matter, to be pulled out at moments like these). Like I said, the standout items were often things I don't recall. My apologies to a girl who sent me a nice letter about her sophomore year of high school, along with a picture in her very 1986 bedroom (nothing untoward, I assure you), who I simply don't remember. That photo and another group picture led me to some context of the summer I apparently spent with her as a Counselor in Training. But I have no recollection of her otherwise. From now on, she will only exist in the memory of sorting through these boxes. Maybe I should have kept those. Not that I tossed everything. I went ice skateing[sic] in a hat. The ice broke and I went splat. And it felt like mush! My takeaways from all of this were that -- in the immortal words of Lloyd Dobler -- I don't want to sell anything, buy anything, or process anything as a career. I don't want to sell anything bought or processed, or buy anything sold or processed, or process anything sold, bought, or processed, or repair anything sold, bought, or processed. Apparently, in the past, people would promise indentured servitude to merchants in exchange for a voyage to the New World; in the Present (circa 1982), "we go to travel agents, who arrange for our hotels, plane tickets, and the emptying of our pockets"; and in The Future (presumably, The Year 2000, since that was the default Future), we'd visit offices with travel computers which, "will figure out the cheapest way for us to get to and stay at our destination." The patron in my picture is purchasing a ticket on the next shuttle to Mars. Okay, so I didn't quite invent the Internet, but I was close. Nor did I accurately predict the pace of interplanetary travel but anticipated the planned obsolescence of the human mind (in my Future, the travel computer is contemplating buying a new printer and disks with its commission, while the merchant and travel agent are both dreaming of money).